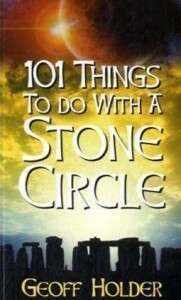 If you thought that there were only three main theories about Stonehenge (ancestor rituals, healing centre, astronomical observatory) think again; this witty and readable book ranges across antiquarian and academic thinking and popular mythology to serve up 101 theories to explain why the UK’s more than 900 stone circles were built (another few hundred theories could probably have been included but for the numerical constraint in the title). Many theories are mutually contradictory – stone circles could be for healing or for human sacrifice, for devil worship or Christian baptism. Many show how ancient stones reflect the culture of the times – for example, Banksy’s construction of Privyhenge at the Glastonbury Festival 2007 or Margaret Thatcher’s condemnation of the stone circle built by Glasgow’s unemployed in Sighthill Park in 1979 as an example of a ‘ludicrous Manpower Services job creation scheme’. Perfectly timed to serve as a Christmas stocking filler for the archaeologist in your life, this is a well researched book that brings much-needed humour to the sober subjects of UFO landing pads, thrones of the Great Goddess, ley-lines and astro-archaeology.